Columbia, Ky. (April 16, 2018) – Kentucky State Police, Post 15 will be conducting safety traffic checkpoints in the Post 15 area, which includes Washington, Marion, Taylor, Green, Casey, Russell, Adair, Metcalfe, Monroe, Clinton and Cumberland. Pikeville, Ky. February 1st. 2018 Floyd, Martin, Magoffin, and Martin counties, will be conducting periodic traffic safety checkpoints. 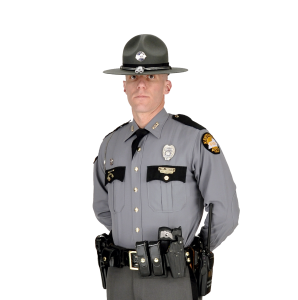 Morehead, Ky. (March 5, 2018) –– Kentucky State Police, Post 8 Morehead announces the final traffic and criminal activity report for February 2018. RICHMOND, KY (March 5, 2018) – The Kentucky State Police, Richmond Post, which provides coverage for Madison, Clark, Estill, Lee, Owsley, Jackson, Mercer, Boyle, Lincoln, Garrard and Jessamine counties, will be conducting periodic traffic safety checkpoints at locations approved by the Kentucky State Police Policy and Procedures Manual. MCKEE, KY(February 19, 2018) – The Kentucky State Police, Richmond Post was contacted this morning by the staff at Jackson County High School alleging that one of their students made a threat to bring an explosive device to school. BEREA, KY (February 15, 2018) – The Kentucky State Police, Richmond Post was contacted on Monday, February 12, 2018 after a two year old child was taken to the hospital with life-threatening injuries. Scottsville, KY (March 4, 2018)- The Kentucky State Police Post 3, Bowling Green received a call of a two vehicle injury collision at 10:45 this morning, which had occurred near the 12000 block of Franklin Road in Allen County. Madisonville, KY (March 1, 2018) – The Kentucky State Police would like to offer periodic reminders to drivers who travel our roadways.